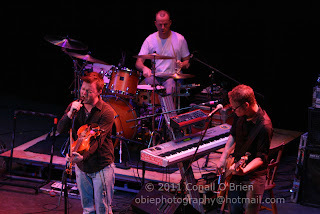 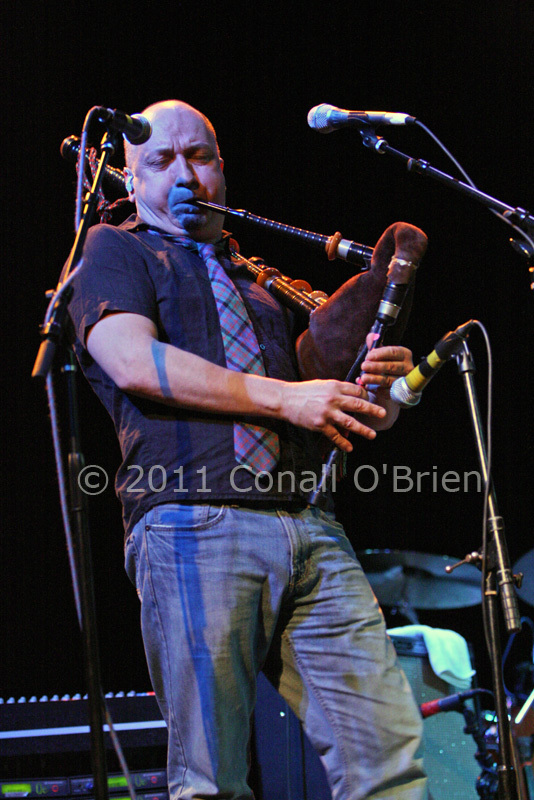 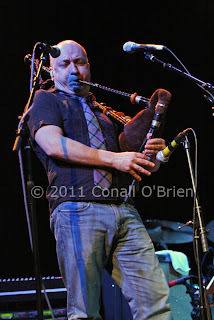 Toronto, Canada based World Celtic rock band - Enter the Haggis performed March 10, 2011 at the 925-seat Waterville Opera House, booked by Sweet People Productions. 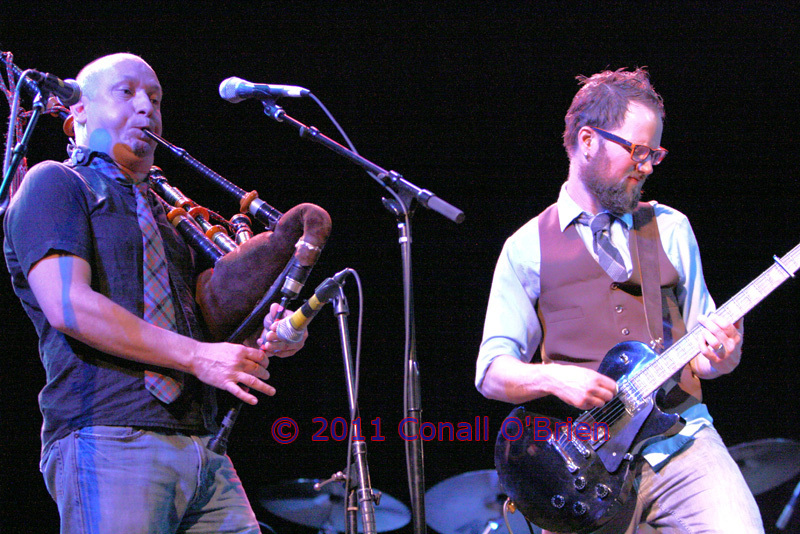 Affectionately known as "ETH" and well versed in performing in Northern New England's many opera houses , Enter the Haggis is touring in support of the band’s new album Gutter Anthems. 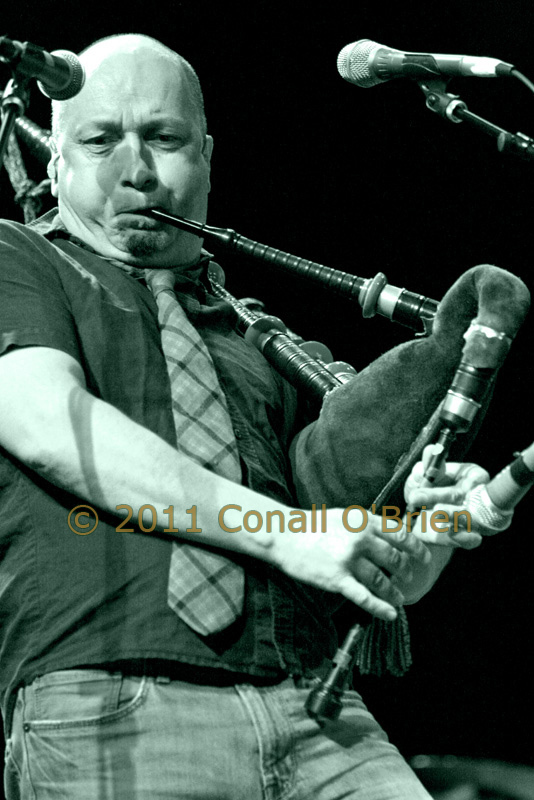 Being Irish blooded I was inspired to create photographs of their performance leading up to St. Patrick's Day later this same week. 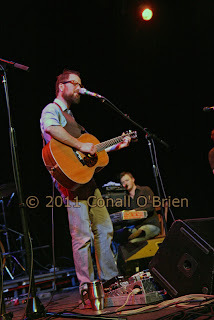 Photographs by Conall O'Brien. Enter The Haggis play a combination of rousing drinking songs with well-arranged original rock and pop tunes. 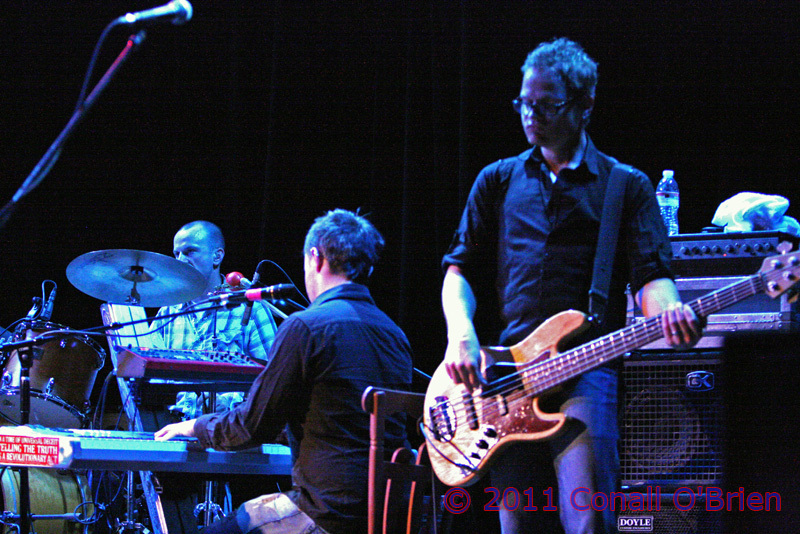 The band has been playing since 1996. 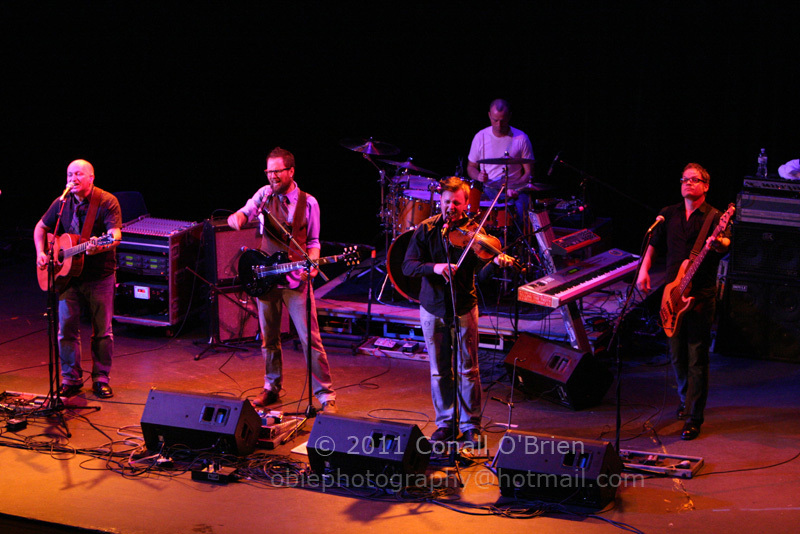 I caught a ETH show at Boothbay Harbor Opera House several yrs back and this is my first chance to see them since drummer James Campbell retired from performing, to be taken over by Bruce McCarthy. 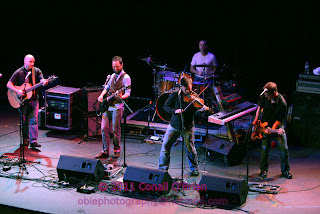 The Waterville Opera House, a historic municipal building also housing Waterville's City Hall is now closed for renovations and Enter The Haggis was invited back again for this farewell to the original space. 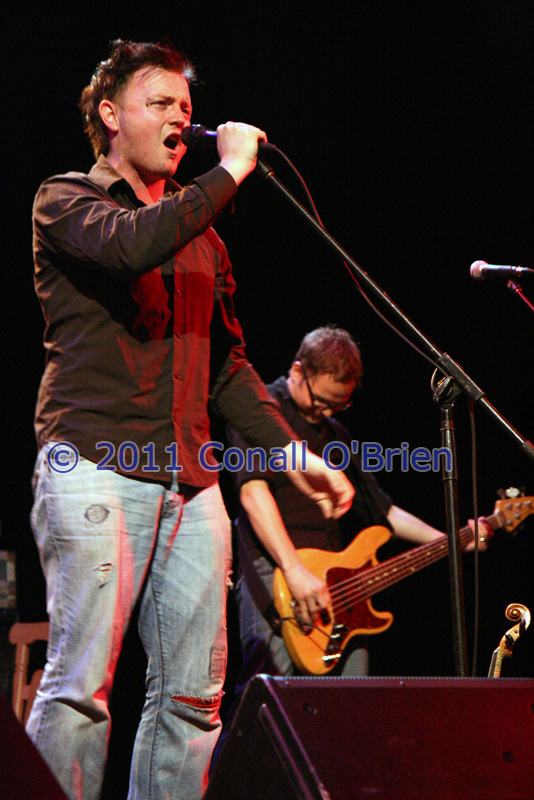 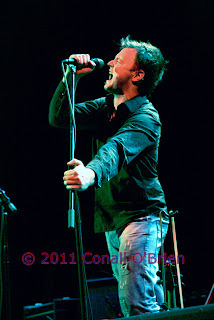 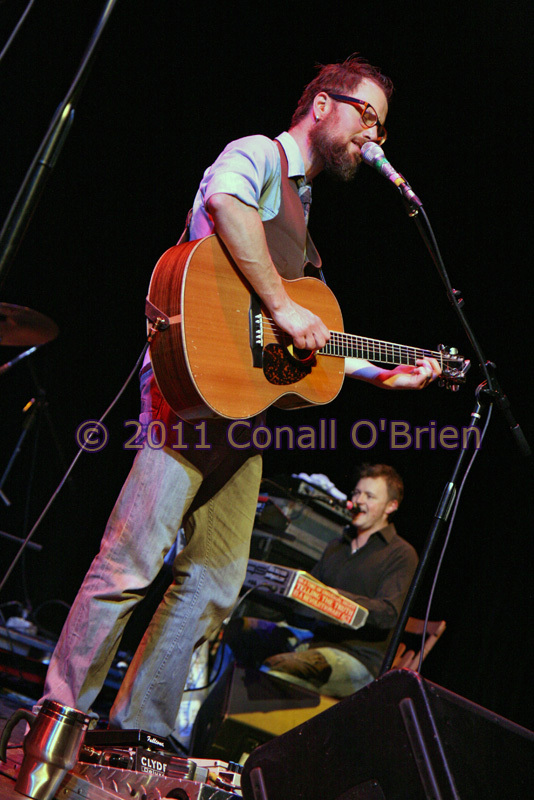 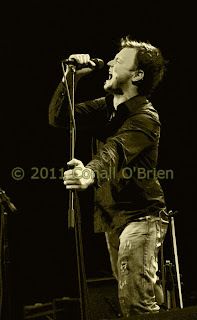 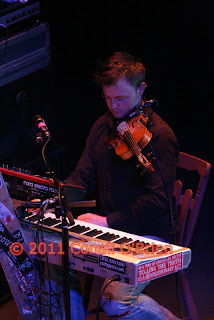 Photographs © 2011 Conall O'Brien All rights reserved. For those ETH-heads local to Northern New England there are some great shows scheduled including Blue Ocean Music Hall on Boston's North shore April 6th, TWO more shows in Maine, one at The Chocolate Church Arts Center in Bath- April 30th, and the day before- April 29th at The Stone Mountain Arts Center in Brownfield, ME. For up to date current tour listings please visit ETH's tour guide now . 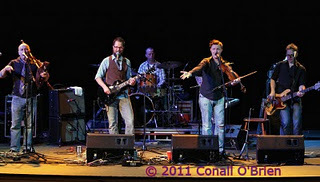 For interesting history of The Waterville Opera House click here.